The holidays provide an opportunity to have a little fun and effectively market whiskey. This time of the year offers several occasions to ensure your products reach every corner of the market from Halloween to St. Patrick’s Day. Winter is a time when people love to kick back by a fire and have a glass of wine or whiskey. Taking the time to design an eye-catching, holiday whiskey label is a great way to market your product. With Halloween right around the corner, it might be easy to think of candy corn or costumes. This holiday is enjoyed just as much by adults who dress up, attend parties, and even put together haunted houses. You can guarantee some of these participants enjoy a good glass of whisky or a spooky concoction. Whatever their poison, there is an opportunity to join in on the fun and be the talk of the party! Thanksgiving, Christmas, and Valentines Day are all chances to leave your mark. One of the easiest ways to take advantage of a holiday is to have one or more unique label designs. By making the prints available only for a limited amount of time, product demand is increased. 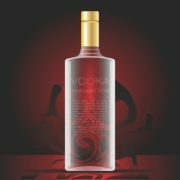 While a stunning bottle and design are great, it is also important to cater to the occasion. For example, labels used during Halloween might contain images such as witches, ghosts, or pumpkins. They could even contain a clever saying that mixes your brand with the current holiday. The possibilities are endless and can be used in combination to deliver a unique, beautiful festive product to customers. One option might be to use multiple designs to spell a word or complete a picture. This will encourage the customer to buy more than one bottle or multiple products to complete the collection. Fun, festive designs are “all the rage” when it comes to marketing for special occasions. Part of effective holiday marketing is enticing the customer to buy your product for their event. Use sayings or images to appeal to their holiday fun including unique themes for each festivity. Coordinating social media with a labeling design is a great way to get everyone involved. Use a hash tag for each occasion and even include it on the label to spread the word. Encouraging fun will only make your product more appealing over the competition! Go crazy with creativity and even add a few laughs to keep the fun rolling. Having a marketing campaign every year can really boost product awareness. Flexo-Graphics would love to help you achieve a stunning holiday whiskey label for each occasion this year. Contact our team today to see how our services could benefit your company! Distillery labels are a unique marketing item because they require a little more attention to detail in order to relay the proper message to consumers. The spirit industry is a big deal these days with craft beers, specialty wines, and other products soaring in popularity. Distillery labels need to have an eye-catching design that is versatile and durable. Just like the work put into the crafted product, a label needs to relay the same dedication to quality and perfection. Professional printing services are able to create an appearance of depth and add unique textures to the design. Flexographic printing is a good option when you are requiring large orders. Other digital printing options can be used for smaller, short run orders. Regardless of your distillery label requirements, professional printers offer a great amount of versatility for any design. Why is a Custom Design Essential? Tell Your Story –Customize the label to the story you want to tell. Make the buyer connect with who you are through the graphics on the label. Showcase – Design the label so end users want to keep your bottle and label displayed on their shelf. Make it a showcase piece during and after use. Color – A label designed to be different colors can bring different emotions from the buyer. Consider the colors and how they can affect the “tone” of your product. One of the Select Few– Consider adding custom numbering or identification to each label through Variable Data Processing to allow your end customer to feel like they are part of a unique group. Regardless of the type of spirit your distillery is marketing, custom labels offer a number of benefits at an affordable cost. The experienced team at Flexo-Graphics will help with ink, material, finish, and adhesive selections to ensure the desired results. Call us today to get started!